EconoBoost Water Boosting Systems – G.T. Smith & Associates, Inc.
With the exception of the pump and motor, the EconoBoost System has no moving parts. The failure-prone mechanical components have been eliminated. The simple to use EconoBoost system also has easy-to-use built-in diagnostics and safeguards to protect the pump and motor against dry running, line breaks, etc. Faults are displayed in plain English on the operator’s display. 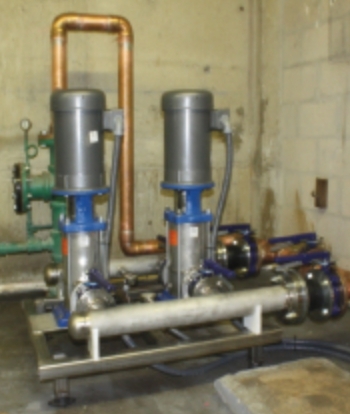 Lucas Technologies can replace your existing control system or provide a complete engineered system with new high efficiency pumps and motors.